Official Synopsis from Goodreads: In Tracee de Hahn’s magnetic debut, Swiss police detective Agnes Luthi finds herself trapped in a chateau during the blizzard of the century when she’s called out on her first homicide. Detective Agnes Luthi, a Swiss-American police officer in Lausanne, Switzerland, has just switched over to the Violent Crimes unit from Financial Crimes in an effort to shed all reminders of her old life after her husband’s death. Now, on the eve of the worst blizzard Lausanne has seen in centuries, Agnes has been called out on her very first homicide case. On the lawn of the grand Chateau Vallotton, along the edge of Lake Geneva, a young woman has been found stabbed to death. The woman worked for an art auction house in London, and had been taking inventory at the Chateau Vallotton, which is dripping in priceless works of art and historical treasures. Agnes finds it difficult to draw answers out of anyone—the tight-lipped Swiss family living in the chateau, the servants who have been loyal to the family for generations, the aging WWII survivor who lives in the neighboring chateau, even the American history student studying at the Vallotton castle’s library. As the storm rages on, roads become impassible, the power goes out around Lake Geneva, and Agnes finds herself trapped in the candlelit halls of the chateau with all the players of the mystery, out of her depth in her first murder case and still struggling to stay afloat after the death of her husband. Review: An exellent mystery with twists and turns and a classic feel. I loved it! Swiss Vendetta by Tracee de Hahn is one of those rare finds that delivers a compelling mystery, a likeable heroine, and a stunning setting. Set in modern day Lausanne, Switzerland, our main character is Agnes Luthi, a detective who has recently transferred into Violent Crimes following the death of her husband. On an evening with a terrible ice storm, a body is discovered on the grounds of Chateau Vallotton, and Luthi goes to investigate and soon becomes trapped at the Chateau because of the storm. With no power and no means of communication to the outside world, Luthi is at the Chateau with her former boss, Robert Carnet, who works in the Financial Crimes unit. Luthi and Carnet investigate the case. I really loved the character of Agnes Luthi. Agnes is recovering from the death of her husband, and her husband’s death is a big plot point in the book. I appreciate mysteries that bring in our detectives personal lives into the plot; the books always feel more relatable and realistic to me. Agnes was methodical and logical in her investigation, and I enjoyed her interactions with Vladimir Arsov, a wealthy neighbor who is haunted by WWII. 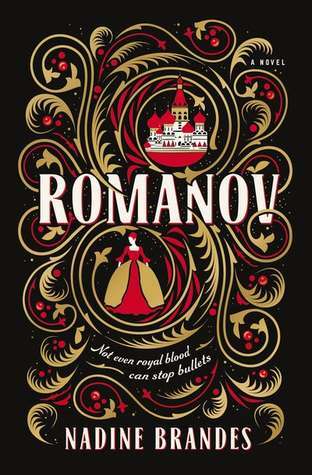 The character of Arsov brings a melancholy, historical aspect to the mystery, which reminded me of Jacqueline Winspear’s Maisie Dobbs series. Along with Arsov, we have the Vallotton family: handsome Julien, the adventurous (and injured) Daniel, Daniel’s beautiful wife MC, and the strong marquise, Antoinette Vallotton de Tornay. I liked all of these characters, and even though I liked them, they were still all logical suspects. There are a few other characters around, and with everyone trapped because of the storm, this is very much a “closed circle of suspects” mystery, which is one of my favorite situations. Swiss Vendetta was an excellent mystery, with a dash of history, and a smart plot and heroine. It’s so refreshing to read a mystery in a modern-day setting, that hints at classic mystery elements. I truly loved this mystery and can’t wait to read more from the author! Bottom Line: Excellent, classic-style mystery. I rated this 5 stars on Goodreads. Swiss Vendetta releases on February 7, 2017. Does this sound like a fun mystery? Are you a fan of classic-style mysteries? A terrific book review. I tweeted this on @bakeandwrite. Thank you so much! 🙂 I really enjoyed this mystery! Ooooh. Great review. I can hardly wait to read this book. Thanks 🙂 The book is an excellent mystery, with great characters. Hope you enjoy it! Always great to read a good crime novel. Great review. Thank you! Yeah, this book was refreshing to read. Thank you! 🙂 Yeah, I really enjoyed this mystery and am looking forward to reading more! Great sounding book thanks! I can hardly wait to read it.